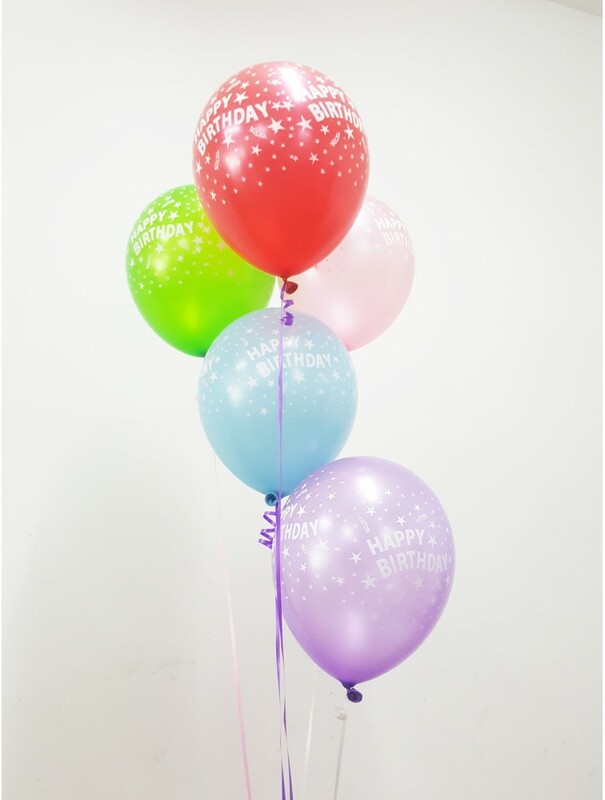 A Gang of 5pcs Round Shape Happy Birthday Latex Balloon, inflated with Helium Gas. THIS PRODUCT IS ONLY AVAILABLE AS ADD ON. NO SINGLE ITEM ORDERS.